The Millennium Tour is in full swing and fans across the U.S. have been storming arenas to catch B2K, Mario, Pretty Ricky, Bobby Valentino, the Ying Yang Twins, and Chingy perform their favorite hip hop and R&B singles. Just ahead of the tour's New York stop, Ebbony Pinillos of TwoBees TV sat down with the "Right Thurr" rapper to get his thoughts on a few issues, in particular, a video that he posted about the media attacking the character of black men. 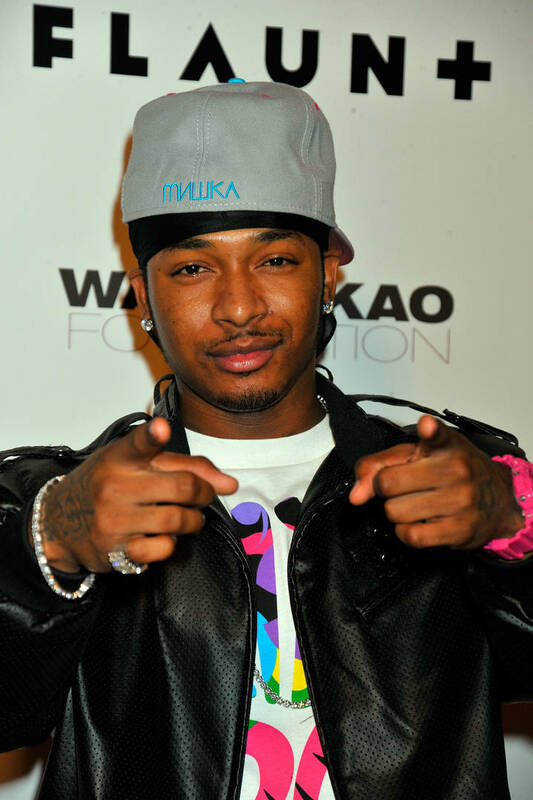 Back in 2010, Sidney Starr, a transgender actress who was featured on the most recent season of Love & Hip Hop New York, took a photo with Chingy at one of his concerts in Chicago. Starr then publicly claimed that the two had a sexual relationship, accusations that the rapper always denied. The media ran with the story and the course of Chingy's rap career shifted, and by 2012 Starr changed her tune. She released a video admitting that everything she previously said about the rapper was a lie, but by that time the narrative regarding Chingy, his personal life, and his alleged sexual preferences was already embedded in the public's minds. The rapper recently was embroiled in some social media drama when he said that the way Kelly is being portrayed in the media is much like his experience with false scandals. "Why I compare this false allegation with this person I didn't know with R. Kelly and his situation is because I've been in a situation where somebody's lying on me and it's been presented—lying on me several times [with] no evidence—and it's been presented to the public as I've done something," he said. "It's been slammed into their heads that I've done something only in these 'media outlets' and only from these news sources that say, 'Oh, Chingy did this.'" "I relate to R. Kelly's situation in that way," he continued. "From the standpoint of the media is saying this, but there's no evidence. I don't know if he did it or not. I just know they're trying to slander his name because he's R. Kelly and they're blowing the situation up very bid to do it. That's the part I'm familiar with." "And also the part that they said about the mothers, the parents sold him the child...well, I've been in many situations where I've been at afterparties or gone to afterparties and mothers will come with they daughters and they little cousins, nieces or whatever. I've been on an elevator where a mother pushed their daughter on the elevator with me like, 'You go with him.' My security push them off and [the mother] will push them back on. So, I've seen that. That exists. It's out there. But most of all...the destroying of the black male character. "Right now this isn't really about color, it's about destroying the image and the character. Well, you can say it's about color, because it seems to be all black men while your Harvey Weinstein's get swept under the table. You're hearing about that. 'Cause his trial was this week and I think got delayed to May, but you're not hearing about that...but you're still hearing about Michael Jackon and R. Kelly." Do you think that Chingy's experience is comparable to what's happening to Kelly? Is the singer just a victim of an attack on black men?